Christi Caldwell is a MUST READ!! And see why Tessa Dare says, "A Christi Caldwell book never fails to touch the heart." 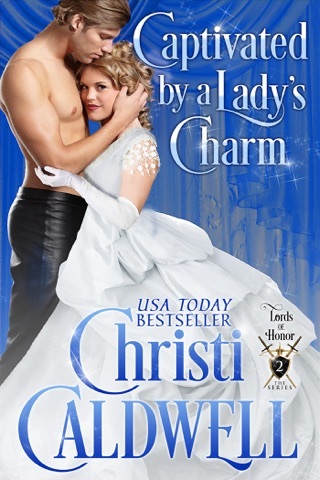 In this spellbinding new Regency series by Christi Caldwell, The Heart of a Duke meets the Brethren of the Lords. 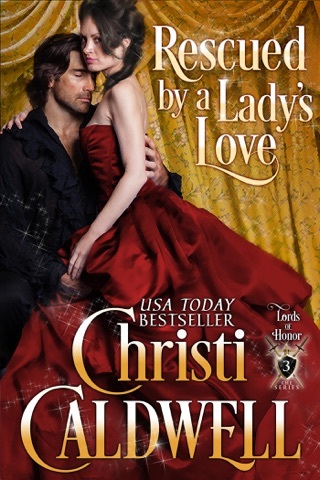 The stakes are high and passions flare hot in Regency England! A widow with a past… The last thing Victoria Barrett, the Viscountess Waters, has any interest in is romance. When the only man she’s ever loved was killed she endured an arranged marriage to a cruel man in order to survive. Now widowed, her only focus is on clearing her son’s name from the charge of murder. That is until the love of her life returns from the grave. A leader of a once great agency… Nathaniel Archer, the Earl of Exeter head of the Crown’s elite organization, The Brethren, is back on British soil. Captured and tortured 20 years ago, he clung to memories of his first love until he could escape. 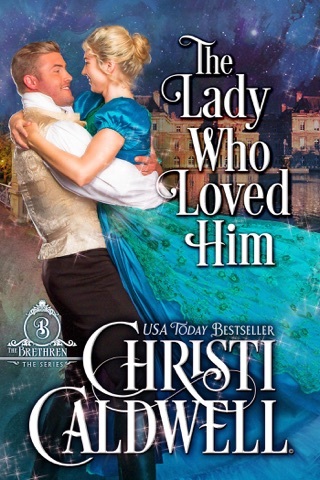 Discovering she has married whilst he was captive, Nathaniel sets aside the distractions of love...until an unexpected case is thrust upon him-- to solve the murder of the Viscount Waters. There is just one complication: the prime suspect's mother is none other than Victoria, the woman he once loved with his very soul. Secrets will be uncovered and passions rekindled. Victoria and Nathaniel must trust one another if they hope to start anew—in love and life. But will duty destroy their last chance? Christi Caldwell weaves magic with her heroes and heroines who carry their flaws inside and out like the rest of us. This book promised deliciousness and did not disappoint. I love love love this book!!! Christi Caldwell has written a amazing second chance love story that filled me with such happiness at the end. Nathaniel and Victoria were young lovers with such hope for the future. Nathaniel always promised to return from his work with the Brethren until the one day he did not. Unknown to Victoria he's taken captive. Months later and with nowhere else to turn she's married off to save her from scandal. Two years later Nathaniel returned to find his only savor married with children and all is lost. Nathaniel leads a solitary life and dedicates his soul to the Brethren. Then the worst happens and Victoria's husband is murdered and the implications land on her family. Nathaniel will not allow anyone but him to find the one responsible and save Victoria. The years that have passed have not deadened the love they have for each other but misunderstanding and suspicion of the past and future could destroy it all. This book,is full of twists and turns, longing for time lost and hope for what can be. I can not wait to read the next book, I want Andrew to have a HEA! Love lost ... Finally found. Another amazing story from my favorite author, Ms. Caldwell. It's about Nathaniel and Victoria. The leads in this story are a bit older than what we normally see but no less passionate. What I like about the story is its fast pace without losing the emotional details of the scene. The flow of the story invites you in and keeps you. I read the entire story in 1 sitting (as I mostly do with her other books). It also shows a great deal of sacrifices mothers/fathers made for their children as well as those made by a man in love. I love how it deals with real issues face by many of us in relationships, be that of families or lover. I highly recommend this story from Ms. Caldwell. It's prefect if you're looking for something to lift up your spirits. 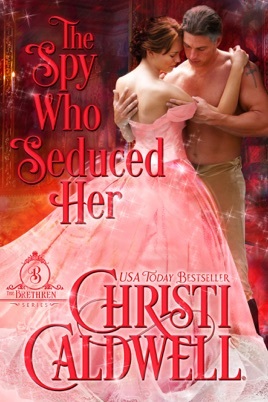 You can't go wrong with any of Christi Caldwell's books. I received an advance copy for my honest review.